Strong Large Double Wall (D/W) Wardrobe Carton Boxes With New Hanging Rails. These Wardrobe Carton Boxes are made from thick cardboard perfect for Garments packing, storage, removal, shipping and for moving house. 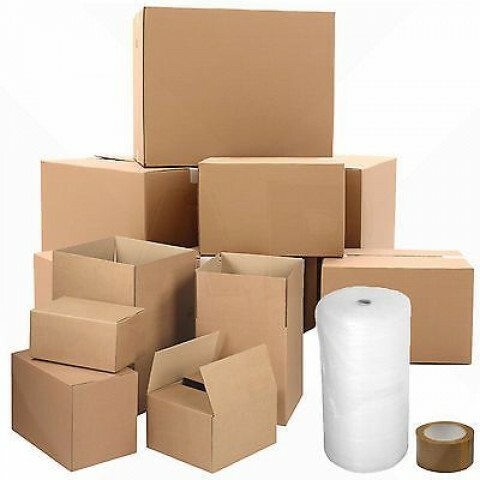 Feature: Crush Resistant, Environmentally Friendly, 100% Recyclable, Easy to Fold and Quick to Assemble for instant use (Wardrobe Cardboard Carton Packing Storage Removal Boxes with Hanging Rails). Ideal during removals / house moves to store your important clothes and prevent them from getting creased. 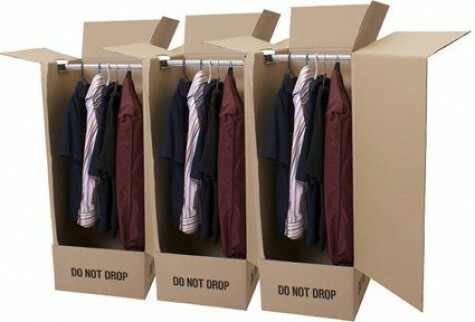 Also an ideal solution for temporary storage of your clothes while you are on the move! You're reviewing: 3 Wardrobe Carton Boxes 20"x19"x49"